President Donald Trump said undocumented immigrants should be immediately deported and denied due process once they enter the country. The president, who tweeted Sunday morning during his drive to Trump National Golf Club, went one step further than his administration’s “zero tolerance” policy, which demands every immigrant who comes to the United States illegally should be criminally prosecuted. Trump’s hasty decision last week to use an executive order to try to end family separation, which happened as a result of his administration’s “zero tolerance” policy, sparked confusion and chaos ahead of upcoming congressional votes on immigration. 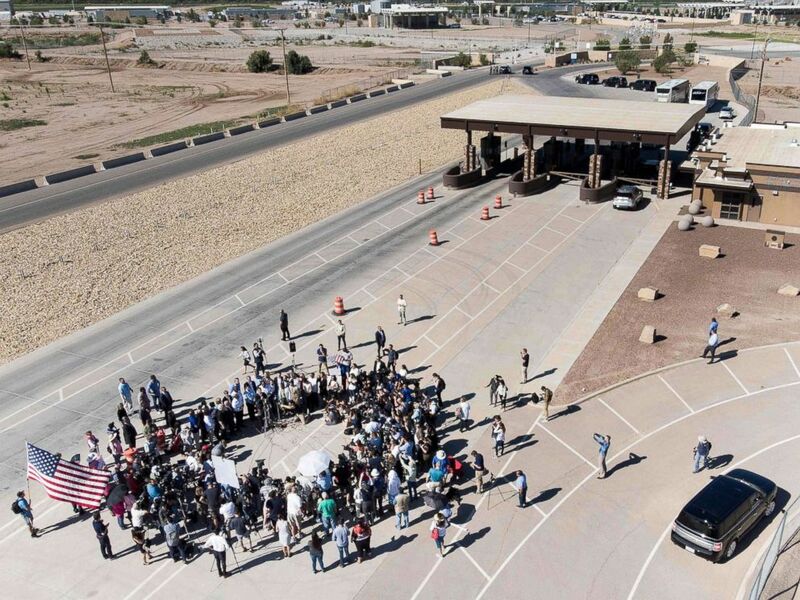 Mayors speak to the press outside the Tornillo Port of Entry where minors crossing the US-Mexico border without proper papers have been housed after being separated from adults, June 21, 2018 in Tornillo, Texas. But despite issuing his executive order, Trump has maintained that his “zero tolerance” policy, introduced by Attorney General Jeff Sessions in April, will remain. At the Nevada Republican Conference in Las Vegas on Saturday, Trump continued to advocate for the “zero tolerance” policy and said that he wants immigration based on merit. “By the way we want people to come into the county, but on merit. We want a merit-based system,” Trump said. “We need people to come in but they need to love this country to help make America great again." But denying immigrants, regardless of their legal status, the right to due process could violate the law. “What President Trump has suggested here is both illegal and unconstitutional. Any official who has sworn an oath to uphold the Constitution and laws should disavow it unequivocally,” Omar Jadwat, director of the ACLU’s Immigrants’ Rights Project said. Sen. Lindsay Graham, R-South Carolina, and Sen. Ted Cruz, R-Texas, have both said more judges are needed along the border to handle the influx of immigrants and cases as a result of the “zero tolerance” policy. Last week, Cruz introduced legislation that would help handle asylum claims at the border by doubling the number of federal immigration judges to 750.